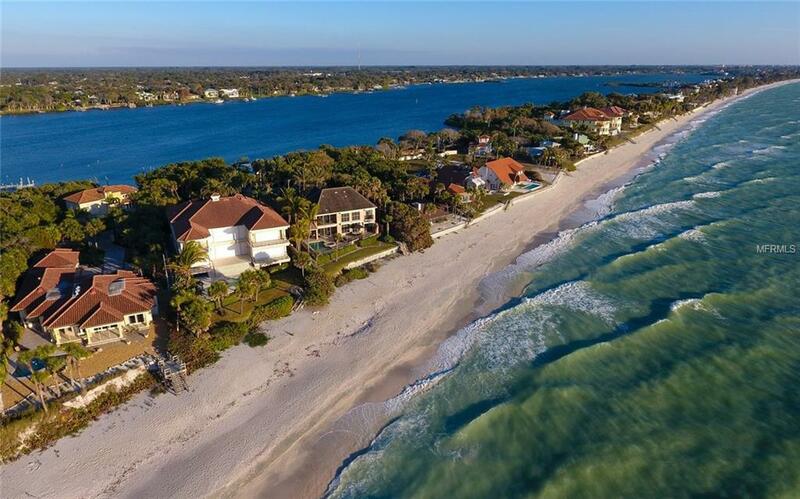 Situated on Casey Key, this classic beachfront residence offers the ultimate island lifestyle. 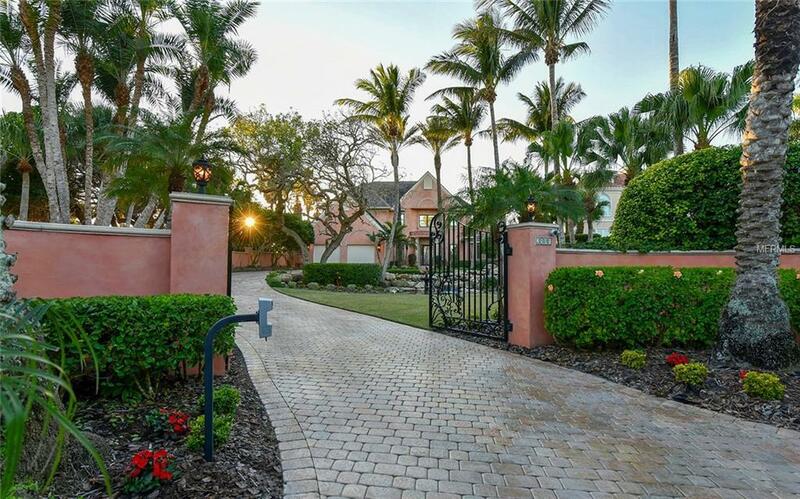 With its Gatsby-Esque gated entrance and winding drive, youll immediately feel the privacy this special residence offers. 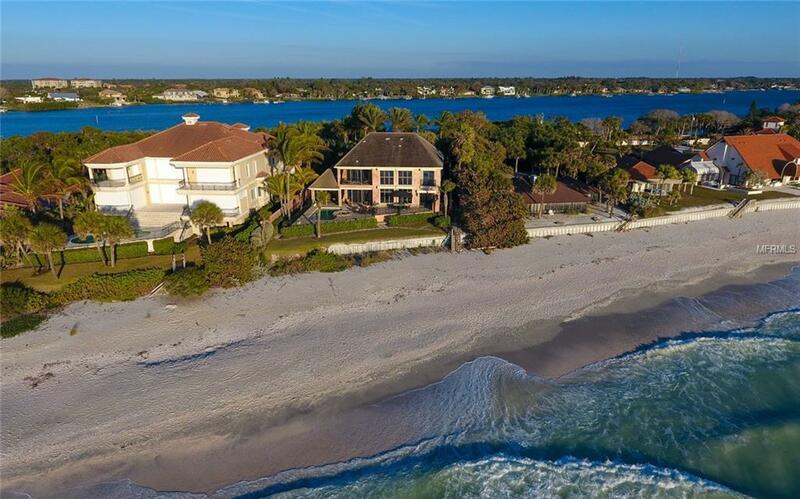 Poised on 100 feet of direct frontage on the Gulf of Mexico and an additional Bayside parcel that includes a 30,000 lb. boat lift and fishing pier. Impressively poised at 18 elevation, the home blends formal and casual spaces for everyday living and elegant entertaining, with four en-suite bedrooms, including two master retreats (up and down). Finishes of the highest quality are found throughout the light-filled living areas, including crown moldings, marble, granite and hardwood flooring, while a second-floor library loft provides additional space for family living. Unwind and refresh in the Gulfside pool and spa and grill, surrounded by an expansive open deck that invites you to experience spectacular sunsets. 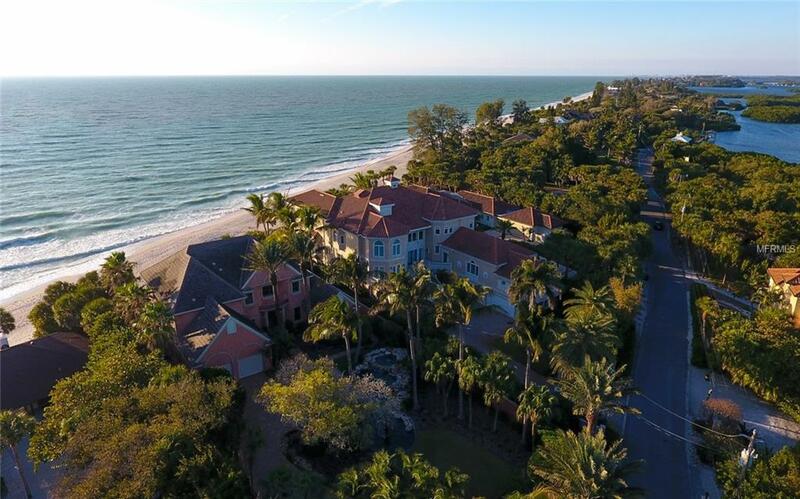 Additional highlights for convenience and security include a two-car garage, private elevator, roll-down hurricane shutters and buried seawall. Furniture provided to make this move as seamless as the sunsets to the west. Live the dream of beachfront bliss, where you are never more than a few steps away from miles of pristine sugar sands. Additional Water Information 30000 Pound Boat Lift With Composite Decking Dock.